For me, it doesn't get much better than this. The same Carver Coat rolling a different vibe. Still perfect. 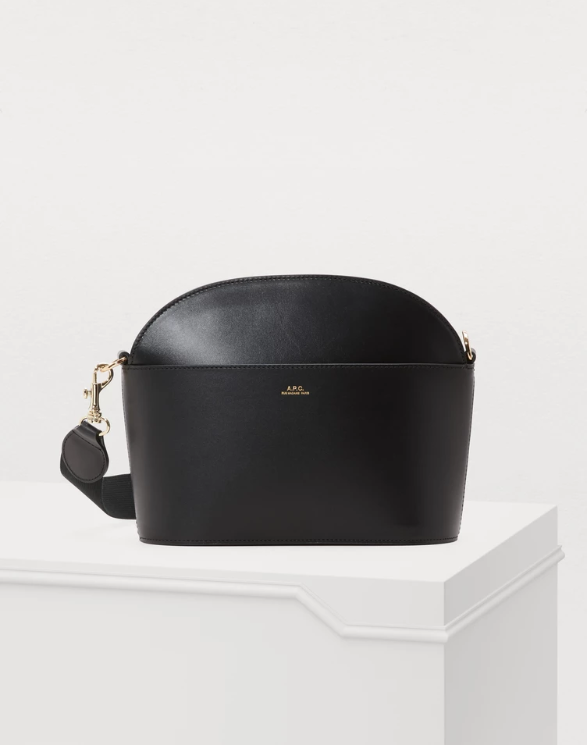 The A.P.C. (Atêlier de Production et de Creation), founded by Jean Touitou in 1987 and has never changed it's look (whoa!). It is an authentic French label that is accessible by design, price, and outlook. The design has an intentional eye on pieces that can be worn for decades. It has always been a reliable label for me when I am on the hunt for a classic. Below are five finds that would benefit any Fall wardrobe. Also, don't be afraid of 24 Sevres - shipping and returns are free and, with DHL, you will literally get your package the next day. Also, do yourself a favor and opt for the free Premium packaging. Trust me on that. 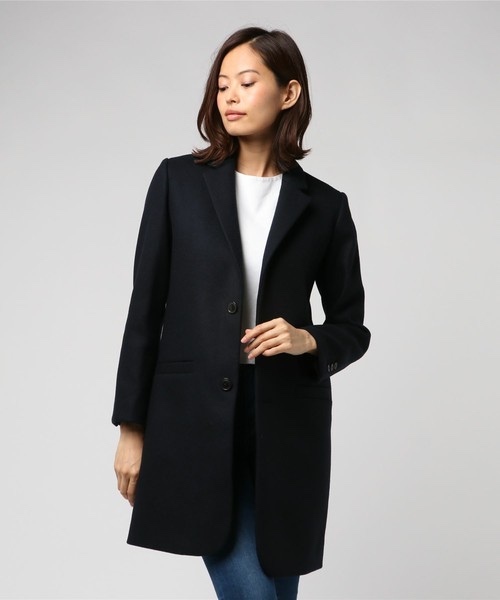 Carver Coat, also known as Manteau Eleven, is stunning in it's simplicity and perfection. All you ever need is this coat, a white T, and jeans to look polished, refined, put-together. Cotton and linen jeans. The OG raw denim. 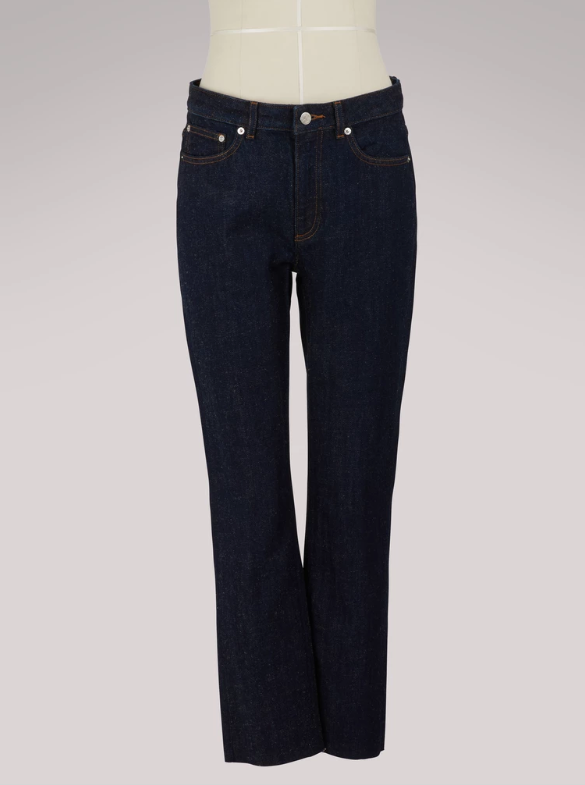 The Row's Ashland Jean is so suspiciously similar to this original (dating back to 1987) that some might call the Ashland a knock off (depite costing more than double the price). 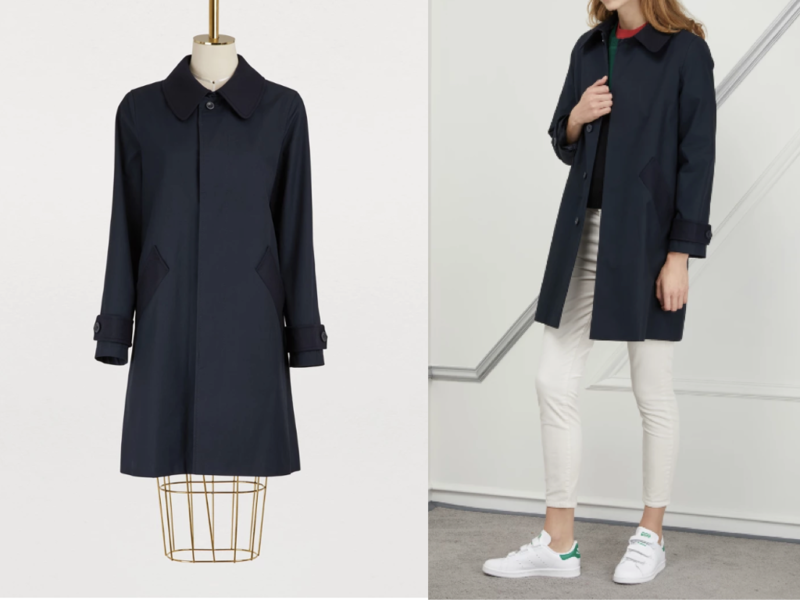 Mac Cabourg Coat - The perfect casual windbreak, light rain coat. The wool collar and cuffs add a lush layer of refinement. Clemence Merino Sweater - The perfect lightweight sweater practically begging for a denim shirt or crisp white dress shirt underneath. Gaby Leather Shoulder Bag - Since I just realized that I have said "perfect" a hundred times already, this time I'll just say that this chic bag will complement your day game with understated elegance. The strap is designed to be not only comfortable but super styling'.